產品上架時間 2013 六月 21 週五. Description: Heart rate data can be really useful whether you're designing an exercise routine, studying your activity or anxiety levels or just want your shirt to blink with your heart beat. The problem is that heart rate can be difficult to measure. Luckily, the Pulse Sensor Amped can solve that problem! 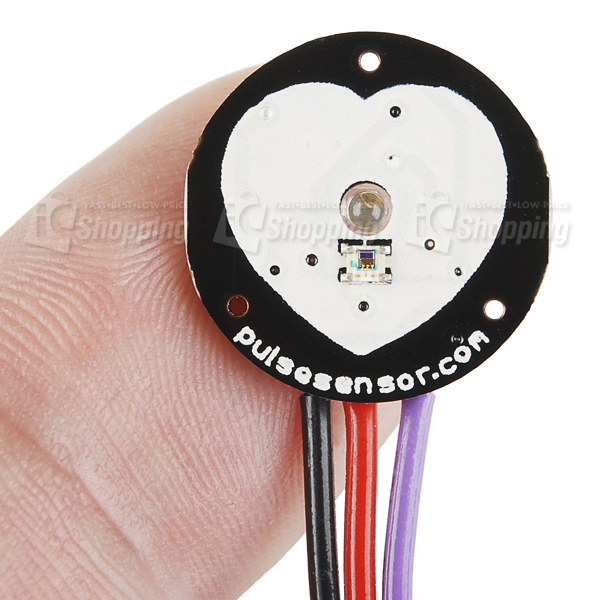 The Pulse Sensor Amped is a plug-and-play heart-rate sensor for Arduino. 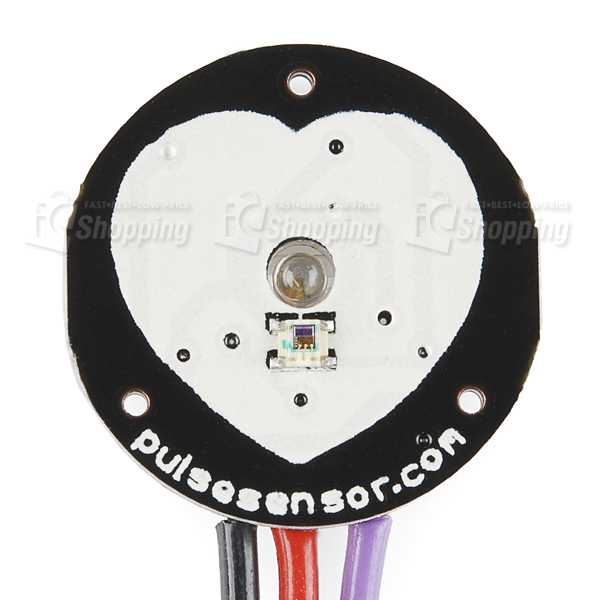 It can be used by students, artists, athletes, makers, and game & mobile developers who want to easily incorporate live heart-rate data into their projects.It essentially combines a simple optical heart rate sensor with amplification and noise cancellation circuitry making it fast and easy to get reliable pulse readings. 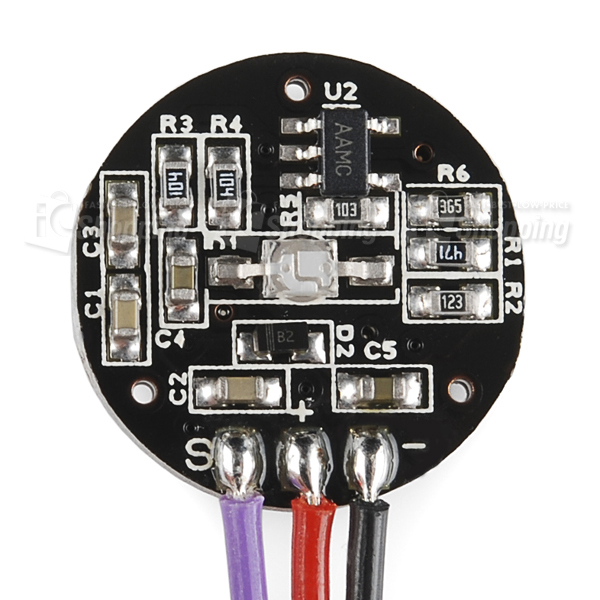 Also, it sips power with just 4mA current draw at 5V so it's great for mobile applications. Simply clip the Pulse Sensor to your earlobe or finger tip and plug it into your 3 or 5 Volt Arduino and you're ready to read heart rate! 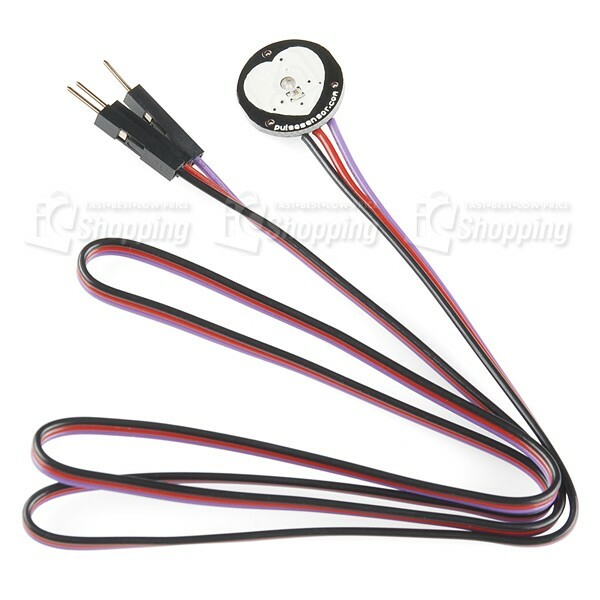 The 24" cable on the Pulse Sensor is terminated with standard male headers so there's no soldering required. Of course Arduino example code is available as well as a Processing sketch for visualizing heart rate data.